For over 40 years the Nitsopoulos family has been working to bring comfort and convenience to the Niagara Region. To this day the family still operates under those core mandates. They have gone on to grow their business and own/operate three hotels, five restaurants, two fitness centres, a conference centre, Parkway Lanes and Lounge SIX. While the brothers continue to be an integral part of the operations the entire family works together so everyone in the Niagara region can…enjoy it all. 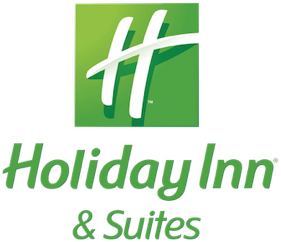 Whether you seek relaxation or business accommodations, the St. Catharines Holiday Inn & Suites, Parkway Conference Centre has you covered. The full service hotel offers a 20,000 sq ft conference centre and is connected to Parkway Lanes, JJ Kapps and Lounge SIX Skybar. Make your stay like home at the Hampton Inn St. Catharines. Conveniently located off the QEW Niagara, the hotel offers a comfortable stay with affordable rates. Connected to Perkins Family Restaurant and Energy Fitness studio, the hotel is in a prime location for family fun in Niagara. Connect in comfort at the Best Western St. Catharines. Centrally located in the heart of Niagara, the hotel offers a heated indoor and outdoor pool, fitness complex and 24-hour business centre. WiFi and breakfast is always on the house – a winning combination for a comfortable stay.